The ISO 9000 guidelines were accepted as international standards in 1987, and amended in 1996, 2000, and 2008. The standards are being completely rewritten in 2015, and the committee draft is circulated the world over. This book is based on the document ISO/TC/176/SC2/N-1147 released on June 3, 2013 to help the industry align itself to the new standards by the time the rewrite is released. 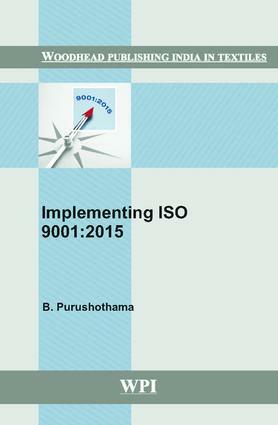 Written in advance so that companies can implement new systems proactively, this text aids in complying with the anticipated ISO 9001:2015 guidelines. Why the 2015 Version Is Being Discussed Now?